Why do you still have thyroid symptoms when your lab tests are normal? Discover an alternative approach in natural management of Hashimoto’s and hypothyroidism. Hi! My name is Dr. Peter Kan and I am a chiropractic physician who manages and supports patients with chronic conditions from a functional perspective. I have good news to share with you. Many people in our community have suffered like you and found relief. You may have more energy, lose weight, end your hair loss and regain your life by unlocking the true underlying cause of your thyroid problem. The answer may lie in the getting the right tests, interpreting them functionally and following a very specific plan based on those results. Many thyroid patients that are on hormone replacement may not be addressing the root cause. 1: Fatigue, tired, or sluggish? 2: Cold feet and/or hands? 3: Do you require excessive amounts of sleep to function? 4: Do you gain weight easily? 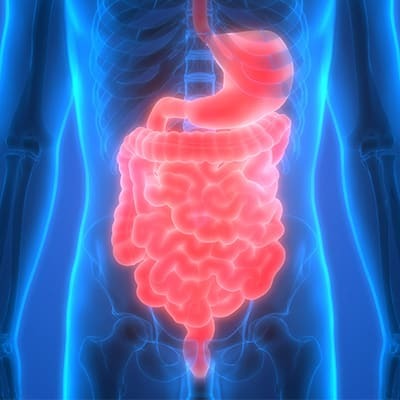 5: Do you have difficult or infrequent bowel movements? 6: Are you depressed? Do you suffer from depression? 8: Do you suffer from morning headaches that wear off as the day progresses? 9: Do you suffer from thinning hair or excessive hair falling out? 10: Do you suffer from dryness of the skin and/or scalp? 11: Do you suffer from mental sluggishness? 12: Do you suffer from heart palpitations? 13: Do you suffer from inward trembling? 14: Do you have an increased pulse even at rest? 15: Are you nervous and emotional? 16: Do you suffer from insomnia? 17: Do you suffer from night sweats? 18: Do you have difficulty gaining weight? Many individuals experience symptoms of thyroid disease and do not even realize that the experiences they are having could indicate a potentially dangerous complication. For example, Hashimoto’s Thyroiditis is an autoimmune disorder in which the patient’s immune system attacks the thyroid. If you have symptoms in both the hypo- and hyperthyroid categories, you may have Hashimoto’s Thyroiditis. In which case, the focus should be on the immune system, not the thyroid. (1) But first the right tests need to be run so we know the cause. The thyroid “runs” our metabolism—it is the “gas pedal” of the body. Thyroid hormones have direct effects on most organs, including the heart which beats faster and harder under the influence of increased thyroid hormones (this is why heart problems can often accompany chronic thyroid problems in women, and perhaps why heart problems are more common in women under the age of 50). One of the problems in some thyroid disorders is that you may have trouble converting T4 to T3 in your tissues (have you been checked for this?). This can create a deficiency of T3, disrupting the body’s ability to properly regulate metabolism…leading to specific symptoms. This is just one of the 20+ ways you can have thyroid “symptoms”, yet the problem is not actually the thyroid gland itself. Factors that can affect thyroid hormone function are often lifestyle and nutrition related, such as blood sugar imbalance, food sensitivity, leaky gut syndrome, vitamin D deficiency, physical and emotional stress, anemia, hormone imbalance, adrenal gland dysfunction, essential fatty acid imbalance, just to name a few. The problem is that conventional medical doctors are focused on drugs and surgeries and many of them lack training in nutritional management. In the typical 5 minute visit that you get with a medical doctor in a managed-care, insurance driven model of health care, there simply isn’t enough time for the doctor to spend with each patient on diet and nutrition, even if the doctor knows anything about it. Physicians trained in clinical nutrition and functional laboratory analysis, such as chiropractic physicians, fill this void left by our failing health care system. Now don’t get me wrong, I will never tell you to stop your medication, you must work with your prescribing physician with your medication. However, there are lifestyle and nutrition imbalances that may need to be addressed if one is to recover from a thyroid condition. My methods do not replace medical management, they complement it. There are some clinicians who are treating thyroid conditions with iodine. I do not recommend iodine in the treatment of thyroid conditions. According to renowned thyroid expert, Dr. Datis Kharriazian, author of the book, Why Do I Still Have Thyroid Symptoms?, using iodine to treat thyroid conditions is akin to throwing gasoline on a fire. Proper thyroid management requires first identifying the root causes such as food sensitivity, leaky gut, environmental toxicity such as heavy metal toxicity and pesticides, chronic infections such as viral infections, gut infections, SIBO, candida and parasites, and stress. 1. Kharrazian. Why Do I Still Have Thyroid Symptoms When My Tests Are Normal? 2010.